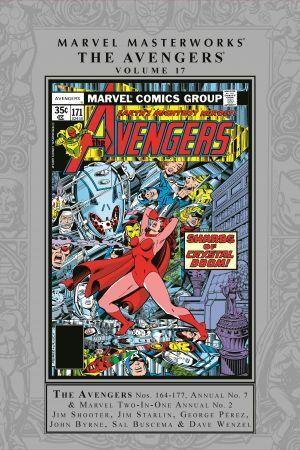 Jim Shooter and an unparalleled team of avenging artists -- George Pérez, John Byrne, Jim Starlin and more -- bring you Earth's Mightiest Heroes at their best! 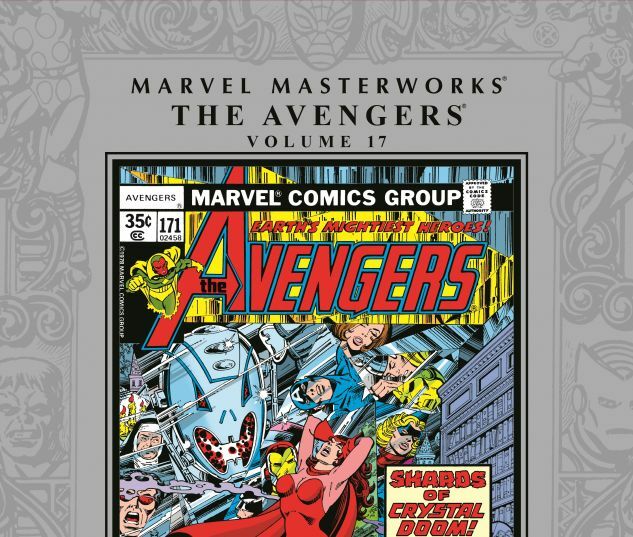 This Marvel Masterworks volume is packed with classic encounters staged on a truly massive scale: Jim Starlin's defining Thanos War, Ultron's revenge, the cosmic Korvac Saga -- it's a dizzying array of iconic adventures! Luckily, the Avengers aren't alone as they face these challenges -- they're joined by the Guardians of the Galaxy, the amazing Spider-Man and the ever-lovin' blue-eyed Thing! Also featuring Adam Warlock, Gamora, the Collector, the Lethal Legion, Count Nefaria, a new look for Wonder Man, and the unfolding secret origins of Quicksilver and the Scarlet Witch! 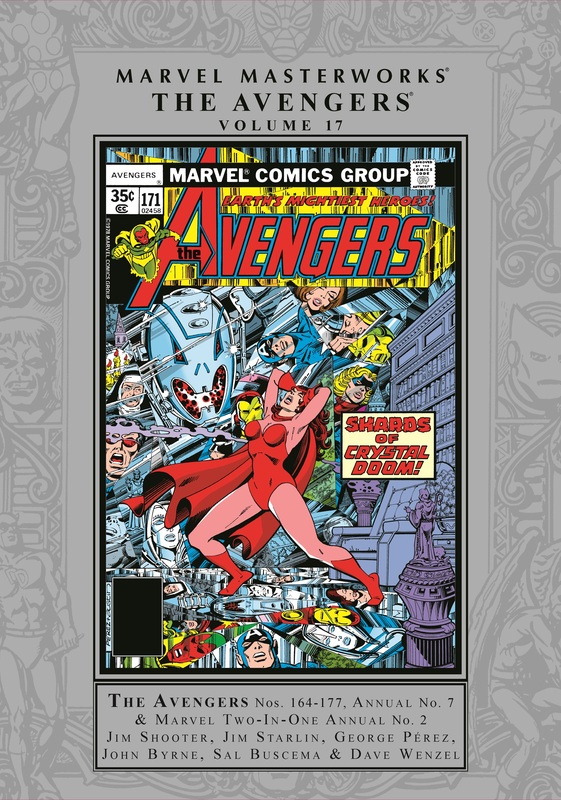 Collects Avengers (1963) #164-177, Annual (1967) #7, Marvel Two-In-One Annual (1976) #2.